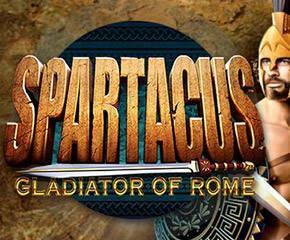 Spartacus is a game that has been around for years now and has been enticing online slots players with its Roman gladiator theme and the chance to win lots of cash on your wager. The game is great for play on your mobile and if you want to catch the action of Spartans fighting it out on your mobile screen. 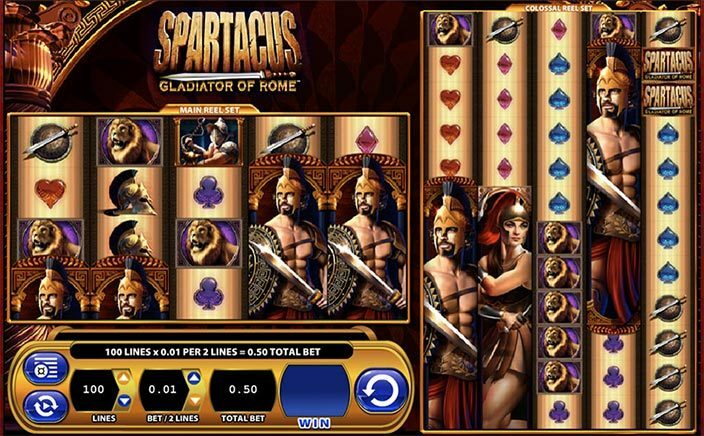 Spartacus has been developed by WMS Slots, which is a gaming concern that has developed a lot of highly interactive games that are played and enjoyed by online casino players the world over. The game has several features to boast of that make it a lot of fun to play. Spartacus has 5 reels and 100 paylines. The way that works is that you have two slots side by side, one being a 5 reels with 4 rows, and the other being one with 5 reels and 12 rows. This makes for some pretty interesting possibilities, as you can well imagine, but it also means that you will need to play it on a larger device that your mobile phone if you really want to enjoy watching the way the game plays out. Place your wager on the slot and then watch where the symbols take you as you play this slot game. Wild substitutions: The Spartacus game logo is the wild symbol and can be used to make complete paylines where you may have one or two symbols that do not match the rest. Free spins: The scatter symbol is the symbol of the colosseum where the gladiators play. If you get three of the scatter symbols in the game you can get eight free games along with a 2x wager multiplier. Four scatter symbols in the game will give you 12 free games along with a 5x wager multiplier. Five scatter symbols will give you 20 free games along with a 20x wager multiplier. Stacked symbols and 5 of a kind wins make this round even more entertaining as you play. Spartacus is a mega game to be sure, with its double set of reels that make the gameplay very entertaining indeed. The game can be played on your mobile device but it feels a little squeezed in there if you play it on your mobile device. It is best played on a desktop screen for the full game effects and there are some beautiful effects thrown in there to be sure. It is easy to see why this game has been so popular among online casino players over the years now and that is why there is a lot to look forward to when you play this slot game.